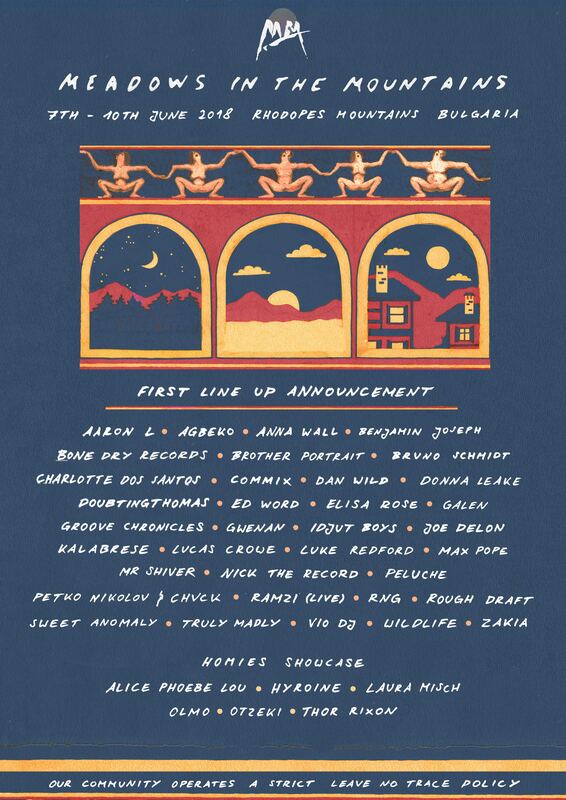 Meadows In The Mountains Festival have revealed the eclectic first wave of acts to join them in the Rhodope Mountains, Bulgaria 7th-10th June. Amongst the line-up is Commix who will be returning for a repeat performance, UK garage legend Groove Chronicles, plus NTS Radio regular and DJ Mag Cheeky Bubbler Donna Leake. Joining them will be Freerotation favourite Gwenan and Doubtingthomas over from Berlin and various other international acts. Now in its 8th year the festival is known for supporting up-and-coming talent and underground heroes rather than your usual headliners; previous bookings include Jane Fitz, Bicep, Bihn, San Proper, Last Japan, Crazy P, Henry Wu, Francesco Del Garda and Saoirse. Tickets and more info on Meadows In The Mountains 2018 click here.